The connection name is shown here. Define the number of the parallel connections to the SAP system performance parameter. Specify which external login from the Intrexx User Manager that will be used for the personalized login to the SAP system. 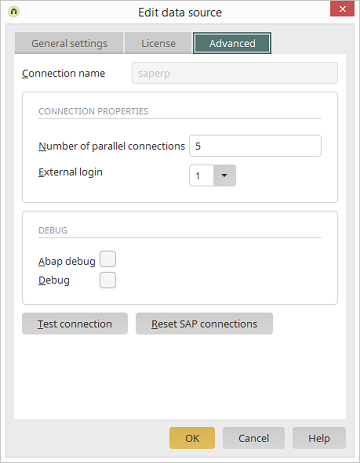 Activates ABAP debugging (only for experts). Additional trace information for debugging.